The CFEngine Enterprise API allows HTTP clients to interact with the CFEngine Enterprise Hub. Typically this is also the policy server. 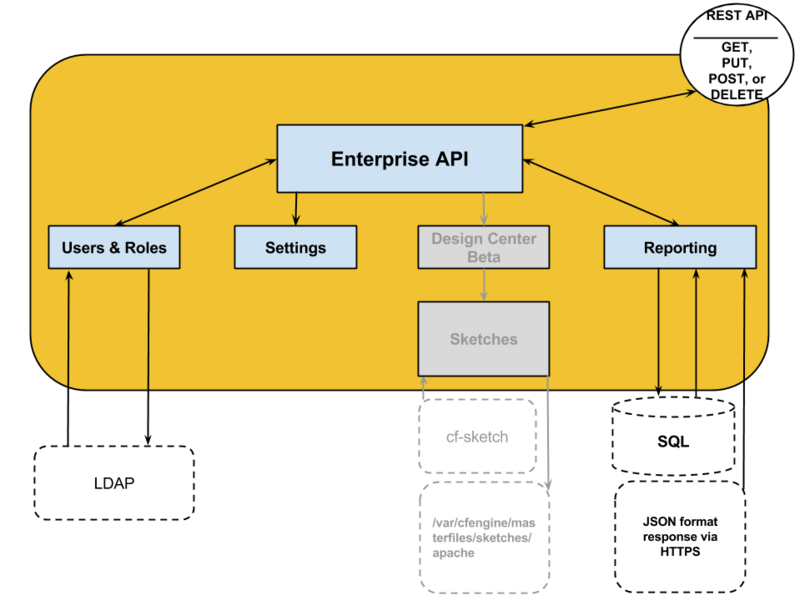 The Enterprise API is a REST API, but a central part of interacting with the API uses SQL. With the simplicity of REST and the flexibility of SQL, users can craft custom reports about systems of arbitrary scale, mining a wealth of data residing on globally distributed CFEngine Database Servers. See also the Enterprise API Examples and the Enterprise API Reference.